#1. 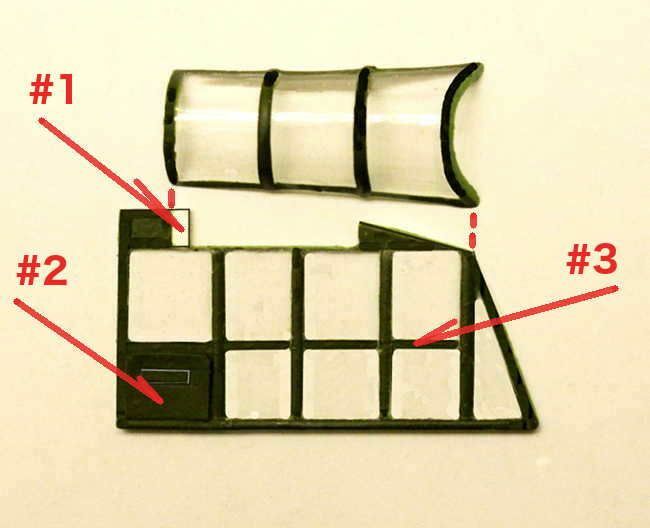 A small chunk of plastic needs to be added to this top front tab. 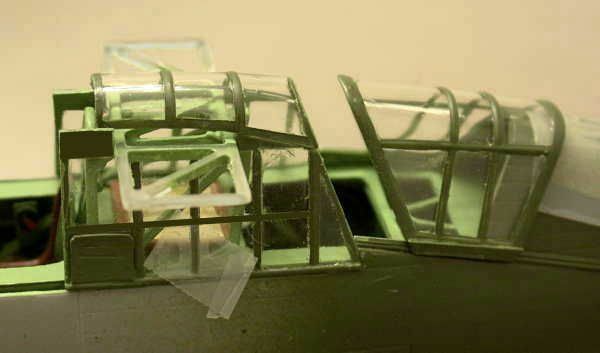 First of all, this closes the remaining open space between the canopy window and the wing spar. However more importantly, it gives you a front attachment point for the arched canopy roof. Otherwise the ONLY support for this arched roof is where it glues to the rear corners of the flat canopy sides. 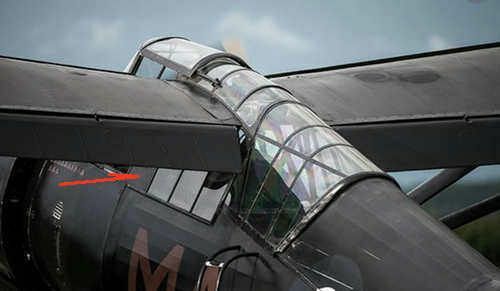 If you recall this arched glass must also support the moving portion of the canopy that is directly over the pilot's head. 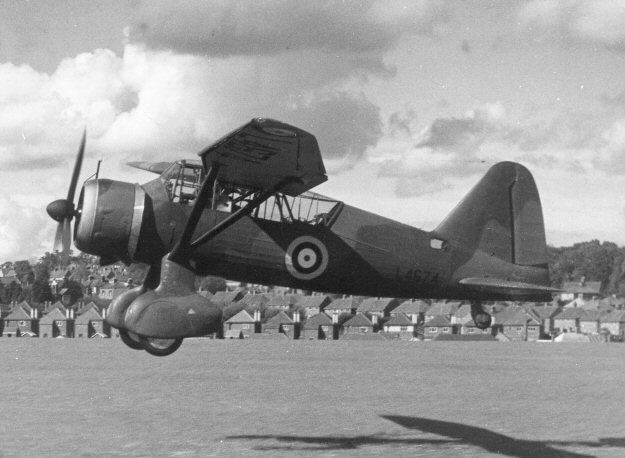 Only SOME Lysander canopy have that horizontal window divider, others did not. So building it either way is correct. Photo copyright Dan Pascoe / Airliners.net - used here for historical research and discussion only. 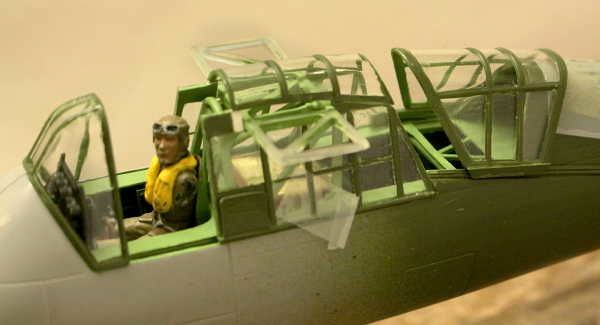 I cut out the pilot's left and right side cockpit windows as these will be posed as being in the "down" (open) position. OK, once again I ask the question "bar stool or tractor seat for the gunner?" Go'n with the Tractor Seat! Still waiting for those twin Brownings to arrive to give the Gunner something to do. Early on in this build I made a boo boo. I put the gas tank in backwards. The curved side is supposed to face forward and tuck in just a bit under the pilot's seat. This means the tank now protrudes too far to the rear. To compansate I had to angle the gunner's seat post (slanting to the rear rather than perfectly vertical as it should be.) in order to clear the tank. So if anyone else follows this build, be forewarned. I should have built a scratch gas tank instead. I don't think the Matchbox offering looks anything like the real deal. 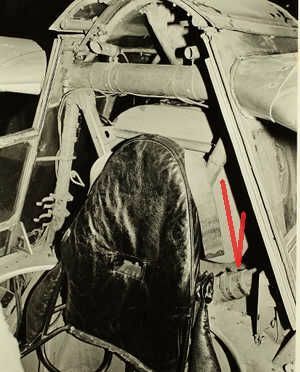 I will be adding the padded back rest to the gunner's chair. Don't want to pass up the chance for more detail and another color in this area. Fire Extinguishers both British and US - if they were inside a vehicle were they painted red? Also what color were the oxygen bottles in British aircraft? How 'bout in US aircraft. 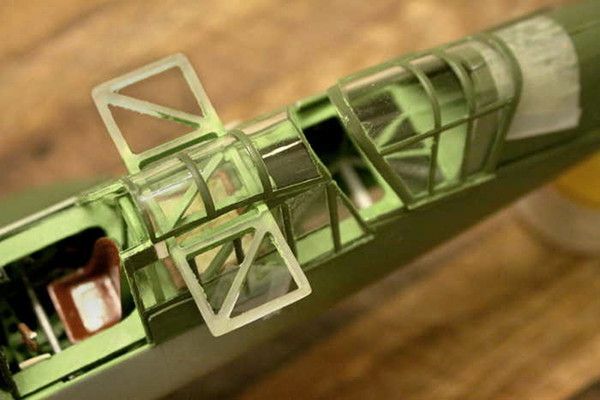 I think US aircraft had either pale green or yellow oxygen bottles but what about in British planes? It would be my understanding of the times that shoulder belts probably weren't used, just lap belts. 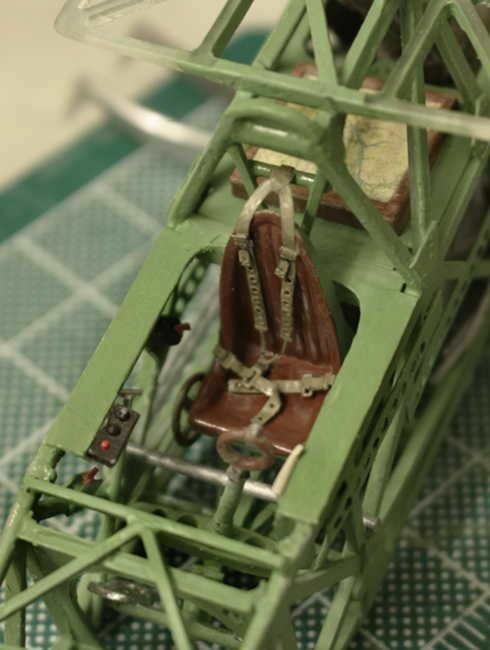 Despite Patrick's very correct comment - I had already installed the Eduard shoulder harness into the Lysander. It looked so good I did not have the heart to rip it out again. Here is the result: So - they stay! I think they look so good I just cannot resist! AND the pilot figure still fits into the seat with his harness and chute pack! Who's to say they weren't retro-fitted? I would think that by the late war any Lizzies still flying would be updated. 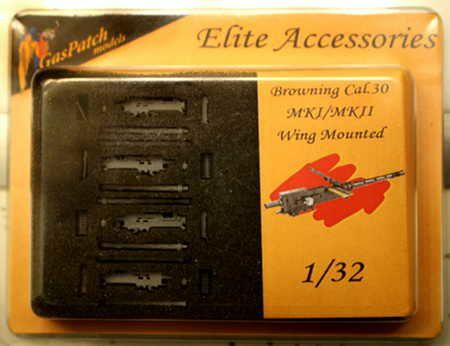 The Brownings have arrived from Gas Patch! They arrived very safely and attractively packaged! 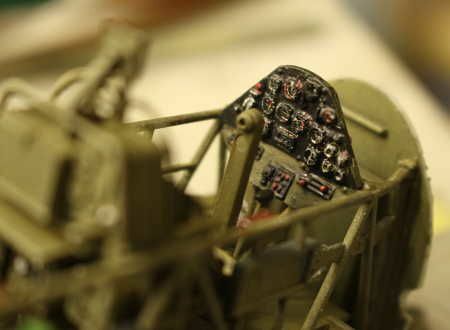 I am also right now working on the Revell Arado float plane. I am surprised at the similarities between the two planes in both design and construction. They are both metal skinned in the forward third and stretched cloth and spar construction on back. 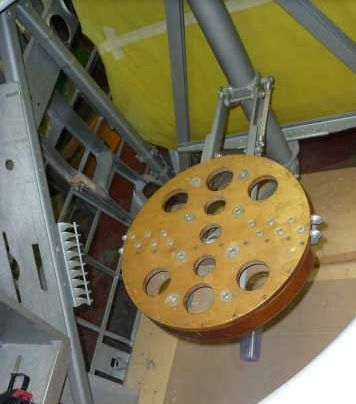 They both have a sub frame type construction in that the pilot and gunner/navigator/radio operator sit in sort of a box frame arrangement and then there is an exoskeleton around that to support the skin. 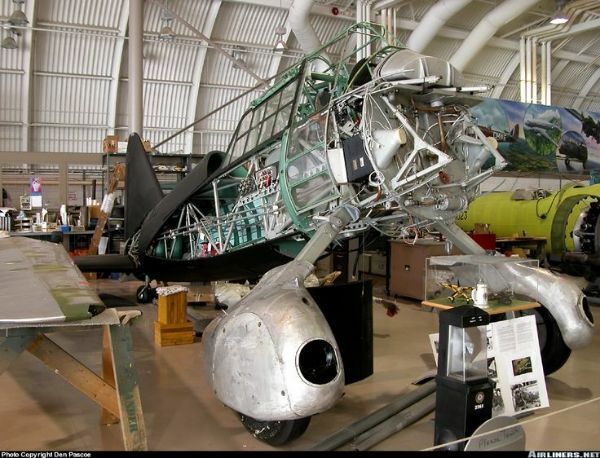 Perhaps back then there were only a few limited ways to build an aircraft. 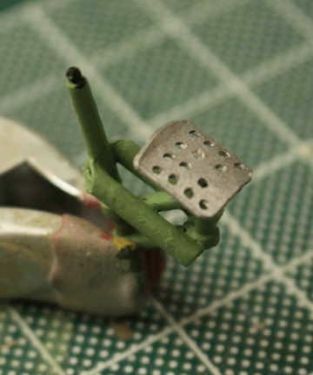 Also I am up to my old Lysander acquired tricks in adding the internal ribs that support the aircraft's cloth skin. 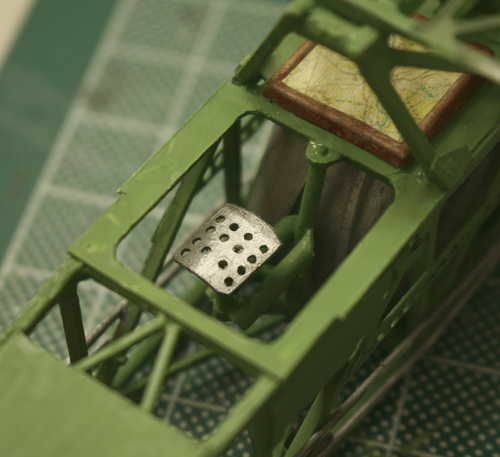 It is an easy way, I feel, to add more complexity of detail that will be visible down thru the cockpit openings. 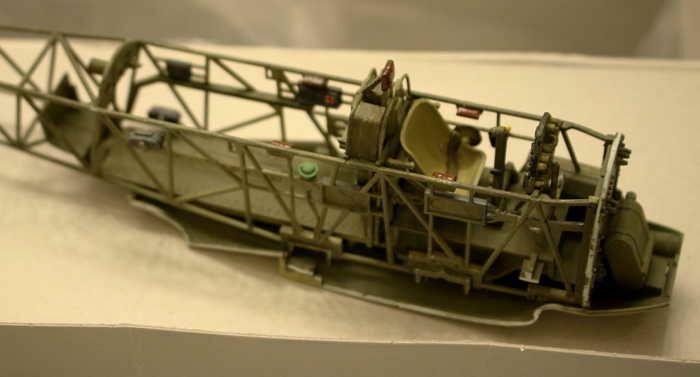 Discovered just tonight that HpH has come out with a resin Arado in 1/32nd scale and they included the cloth ribs on the interior of their fuselage. Makes me feel like I am on the right track when I find a major manufacture making the same detailing choices as myself. Excellent work Mike! I have seen the one in Canada years ago, but your model shows details I certainly missed. Thank you for sharing. Looking forward to seeing more of your efforts! I just finished reading through your entire build to date. A most impressive build for sure. 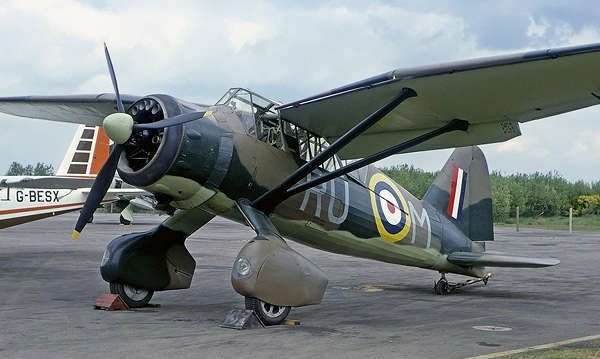 Your research, willingness to modify, and add detail as needed has resulted in a one of Lysander that's steps ahead of any build I've seen to date. 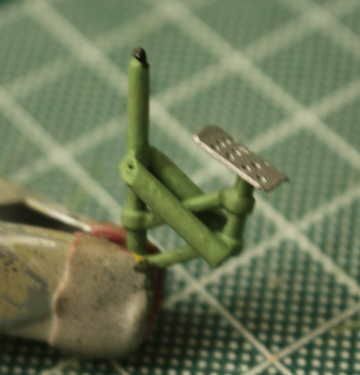 And thanks for sharing the multitude of reference pictures that just might be useful to WW11 modelers like myself down the road. 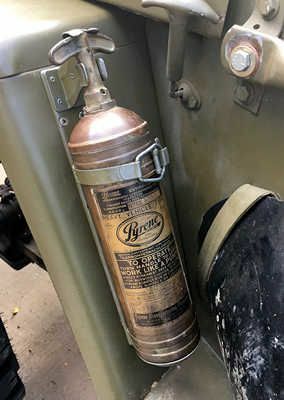 I can't answer your question about the color of British Oxygen bottles and fire extinguishers, but the USA aircraft at the beginning of the war used Yellow for Oxygen bottles that was carried through till the end as far as I can tell. Fire extinguishers started off as unpainted bottles with the handles paint red. At some point the bottles were painted. I've seen examples painted in Gloss Red, Gloss Green, & Silver. Honestly, I have no definitive answer. this is another question that I'd defer to Dana Bell. Michael! I am so happy that I finally can offer what you asked for when you started this thread: advice ! Don't worry about the seatbelts, they are most likely correct the way they are. A friend of mine wrote a small essay on the subject of the sutton harness some years ago. 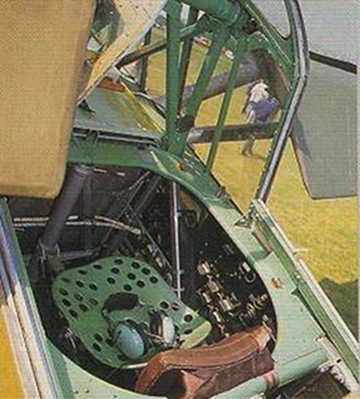 "In the 1930s, the four-point Sutton harness was a broadly established standard in all RAF aircraft types, from de Havilland DH 82 Tiger Moth and Miles Magister to the Spitfire and Hurricane." Thanks guys for the positive support. Joel on the fire extinguishers I get the impression that before the aerosol type extinguishers came out we were just talking about the old fashioned, all brass soda water type Pyrene extingusher. The red handle you had to manually pump. One pump, one little spit of water at a time. 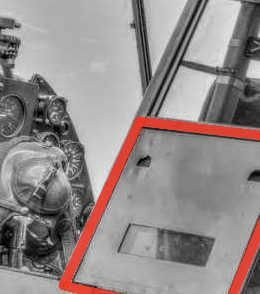 But I know British tanks had some sort of small pressurized extinguisher and I just thought the English planes would use the same. Magnus I am very surprised they were using the four point harness that early! Live and learn. Yep, that's what I've understood they used, and that they weren't painted during that time frame. Anyone know what the four pipes at the top of the engine cowl might be? I know they are later additions. Perhaps they are after market additional ram air intakes for the carburetor. I know what the two pipes lower down are; one on each side of the cowl feed air to the engine oil coolers.